Bike repair service for Mesa, Tempe, Phoenix, Scottsdale, Chandler, Gilbert, Fountain Hills, Cave Creek, and Carefree. From sprawling deserts to rocky peaks, Arizona has a wide range of cycling opportunities. The East Valley with its ample bike lanes and miles of desert highways is a road cyclist’s dream. The traffic-free canals and scenic roads like Bush Highway and Bartlett Lake road are great for getting those miles in. If you crave dirt under your tires, some of the best trails in the country are just a short drive away. South Mountain, Hawes Trail system, Usery Pass, Brown’s Peak and many other trails will satisfy your adrenaline needs! Velofix Phoenix is here to make sure you’re out enjoying the best Arizona has to offer without worrying about anything else. Let us do the hard work getting your bike ready while you do the best part, ride more! We’ll have your bike prepped for one of the many events in town or that epic trip up North. All of the latest and greatest bikes and equipment will be delivered and set up right at your home or business. We will have all the gear you need to elevate you’re riding and enjoy the rugged beauty of Arizona. Franchise owners Eric Pearson and Nick Zachry are native Arizonans and first gained their love of the outdoors after visiting iconic Havasupai Falls as children. They’ve been exploring Arizona and the world ever since whether by motorcycle, foot, or preferably bicycle. Eric brings extensive business acumen and leadership skills coupled with a passion for new ideas and technology. Nick has an aptitude for repair and a deep cycling background from childhood to now. They can’t wait to share their passion for the outdoors with others by keeping them riding their bikes! customers. 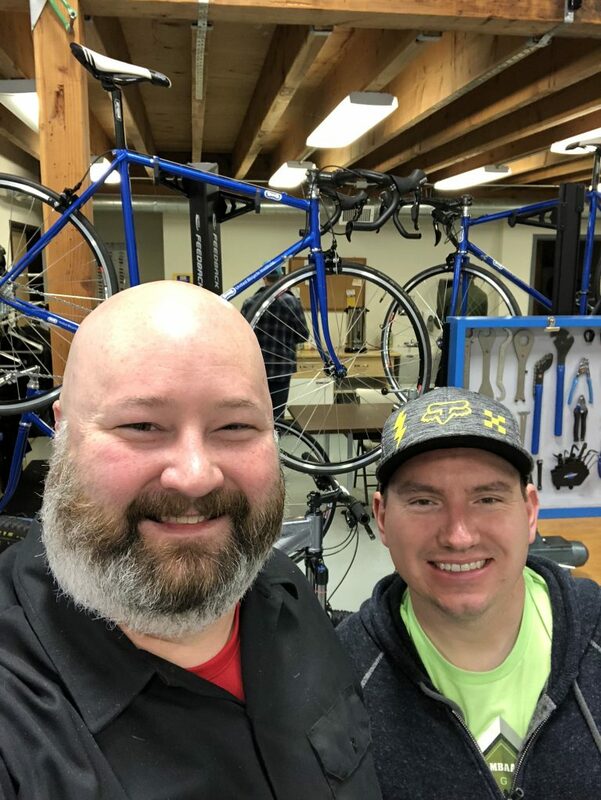 Kirby’s favorite conversation topic is all things bikes, so feel free to reach out to him with any questions from part compatibility to nutrition and training habits.